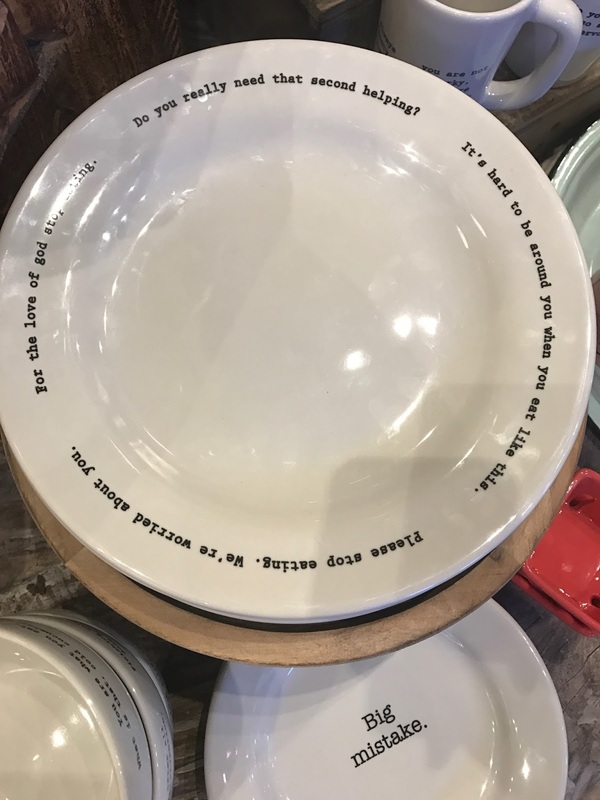 Sugarboo, a store at Disney Springs, is selling fat-shaming dishes. I have taken a few minutes to write their corporate office, Disney's guest services, and my clients for whom I shop. Now, I put this here: I will not purchase anything from Sugarboo while they sell this product. If shame worked, no one would be (1) fat, or (2) drunk. . . or (3) stupid. If the buyer or designer for this company does not see how shame does not work for the first two, they won't be smart enough to realize they suffer from the third. To quote the writing on the small size plate. They have made a "Big mistake." My reaction to the plate - how very strange. Like just really weird. I wonder what was behind it. what the heck!!!!! I cannot believe this! what is happening to people that someone actually thought this was okay to manufacture!!!?? ?